West Wickham driving test route part 1. Guide to taking your driving test at West Wickham. To become a good, safe driver takes lot's of practice and time building up your experience on many different roads in varying weather and traffic conditions. The driving test is really just the beginning. Every driving test area normally has it's fair share of tricky and more unusual road layouts and getting to know your driving test area a little can help. In this series of videos and explanations we'll be giving you some tips on how to plan ahead, highlight signs that are a little hidden and markings that are faded. Hopefully making you a better driver in the process. Be careful not to concentrate solely on the driving test routes but vary your driving experience. After all, will you just be driving round West Wickham forever after your driving test? The waiting time for a driving test at West Wickham can be anything up to 3 months. Read on for tips on passing at the West Wickham driving test centre. 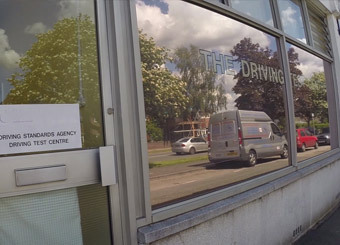 The West Wickham driving test centre won't win any awards for looks, but it doesn't matter because you'll only be here for a few minutes whilst you wait for the driving examiner to come out to greet you. Once the driving examiner has seen your driving licence and you've signed a form, it's time to head outside to your car. During the walk to your car, the driving examiner will ask you to read a number plate from around 20 metres away. Once you get to the car, they'll then ask you two 'show me, tell me questions'. If you don't know them yet then you can find the show me, tell me video and explaination here. Now it's time to get comfortable in your car and get ready for some of your best driving! We've put together a guide on the West Wickham test area. 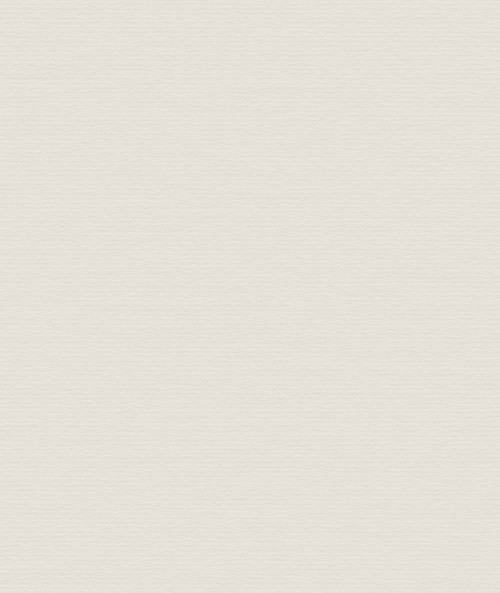 Below are highlights of a driving test route at West Wickham. The Kent Gate Way is a long 40mph road that used to be known locally as 'the mad mile'. 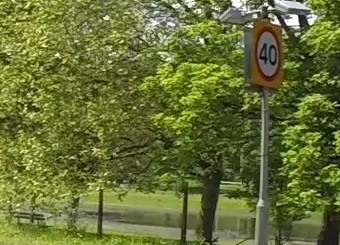 Look out for the 40mph signs at the start of the road that are sometimes hidden by trees (especially during the summer). If the conditions allow and it's safe then get your speed up to 40mph. The first roundabout (Addington) that you will approach after the Kent Gate Way will be a little unusual. Iin order to follow the road ahead (2nd exit) you will need to use the right-hand lane on approach. This is because the left-hand lane will be for turning left only (as indicated by the markings on the road). We were following the road ahead here, so we needed the right-hand lane. 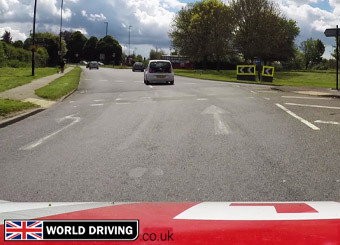 When you exit this roundabout (2nd exit) you will notice some solid white lines on the left. You'll have to avoid these as it helps vehicles from the exit on the left drive onto the roundabout to turn left without stopping. This means that you'll have to exit in the right hand and then after the solid lines have finished, use your mirrors, signal and blind spot check to change lanes back to the left. Look out for the traffic light controlled tram crossing. Next roundabout before Gravel Hill. At the next roundabout we are turning right, 2nd exit. To do this we will need the middle lane of three. The left-hand lane will only be for following the road ahead (1st exit). 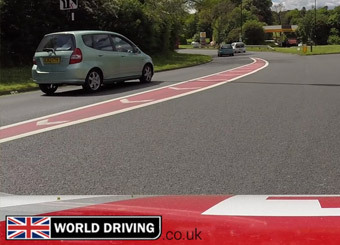 Make sure that you keep in lane as you drive around the roundabout. You will then drive up Gravel Hill, which is still a 40mph speed limit and a two-lane road. 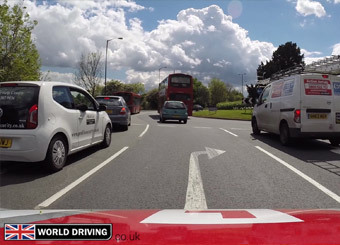 Make sure that you keep in the left-hand lane unless overtaking. Be careful of traffic lights and potential stopped buses at bus stops. Speed limit changes to 30mph near the top of the hill. We were turning right at the roundabout (towards Shirley) at the top of the hill, so we had to change lanes to the right and look out for the traffic light controlled roundabout. We're a driving school in Beckenham. If you're in our area that we cover and you're looking for driving lessons then simply phone 07940 114260 or 0208 650 6153 , book a date and time, and pay for your lessons when your driving instructor arrives at your door. You could be starting your driving lessons tomorrow!